Jake Rueth is Cube Crazy 2!!! 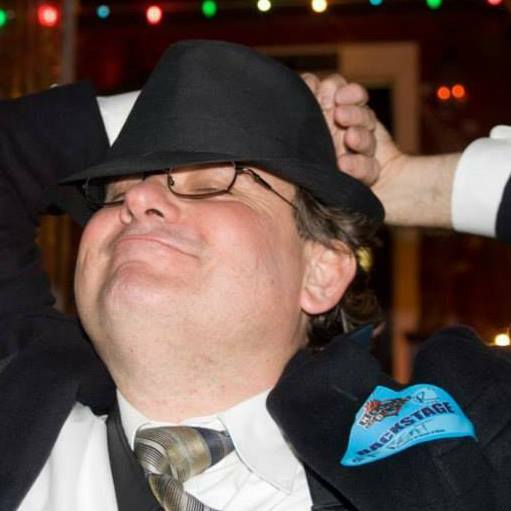 Over the past couple years I have had the opportunity to attend a number of conventions of various different types and to meet a lot of great people from artists, to voice, stage, television, and movie actors, to just plain fun and interesting folks. 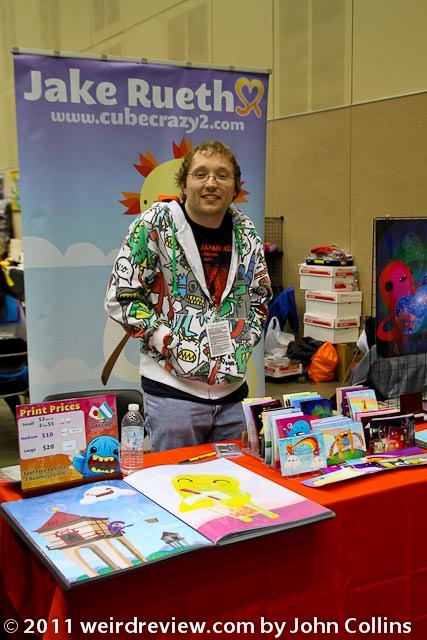 One of them with whom I have repeatedly crossed paths is the artist Jake Rueth of Cube Crazy 2. Jake is a very sweet, humble, mild mannered fellow from Wisconsin with a degree in art and a penchant for making cute monster characters. He sees the world with a different focus than most and interprets it into a much more fun and friendly way. When we chatted at Kitsune Con in Appleton, Wisconsin, he explained how he came up with his piece Stoplight Demons and showed me the real life pic that he based it on. His artwork has impressed me enough that sometimes when I am walking around I will wonder what Jake would come up with from this scene. 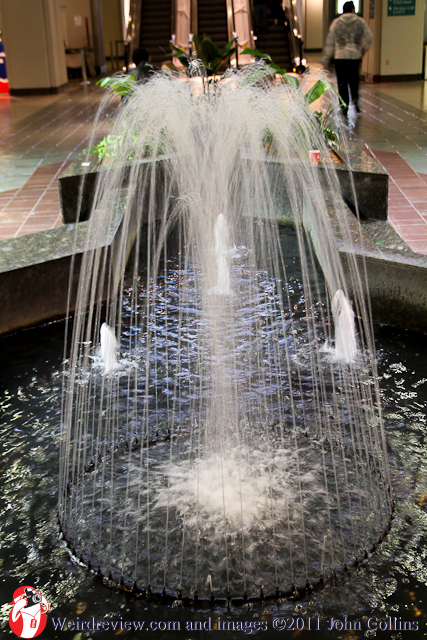 As I was walking around at Sakura Con last weekend I ran into one such scene – this fountain at the Washington State Convention Center. As I was looking through my pics from Sakura I saw the fountain and it inspired me to take a few minutes to write this up. When I was contemplating a logo for Weird Review I had a few thoughts that passed through my mind and, though I have training and experience using Adobe Illustrator and have come up with a logo or two, I went to Jake for my current logo. I brought it up to him at Anime Saint Louis and, although he said he was busy with other clients and such, I got an email a couple days later with an attachment. I wrote back that I thought it looked great but thought it would be better if the camera were black. Within minutes I got back what is now my new logo. From your con schedule it doesn’t look like you are going to ACEN or World Steam Expo so I am thinking Anime-ZING! and then Wizard World.